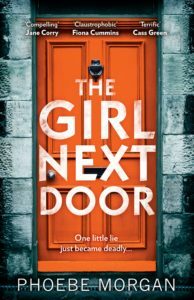 The Girl Next Door by Phoebe Morgan is a gripping contemporary psychological thriller that will have your mind racing to the end. The novel is about appearances – everything must look perfect for the neighbours – but underneath cracks begin to show before a chasm opens. We all have choices to make – to tell the truth or to lie? “Trapped by the choices I have already made.” Poor choices mean lies are told to cover up the truth. Can you separate the fact from the fiction? How deep does the truth lie? 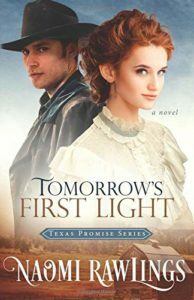 Tomorrow’s First Light by Naomi Rawlings is a delightful Christian historical romance set in 1885. 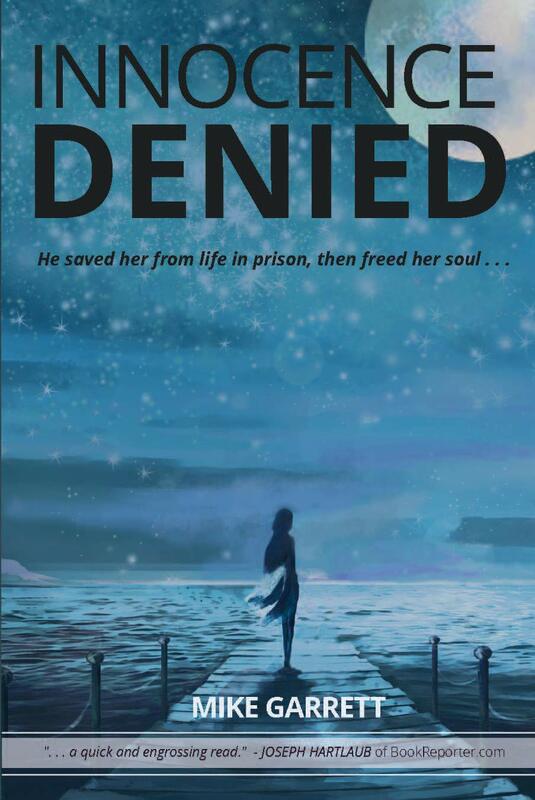 It is the first book in the Texas Promise series and what a warm and wonderful series that promises to be. A main theme is taking care of widows and orphans. Hearts and homes are opened to a family of nine siblings as a rancher gets more than he bargains for with his mail order bride. God is with us in the good and the bad times. He is with us even when we cannot see or feel Him. God walks alongside us at all times in life. It is life not God that deals us blows. “Was she doing something wrong? Was that why God never answered her prayers?”God is faithful. He always answers our prayers in His time and in His way. Innocence Denied by Michael Garrett is a contemporary Christian thriller that has its roots in God and in love. It is a beautiful love story – the love of one man who is motivated by loyalty, love and kindness. He believes he needs to leave a legacy and that legacy is love. He loves against the odds. “Love doesn’t come with an on and off switch.” His love and kindness are catching – not only by other characters but love leaps from the pages. This is the story of a man with the correct set of priorities. “I’d rather have time to myself than make more money.” Success in business cannot be compared to living a life of love. 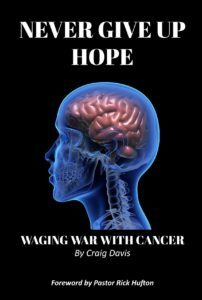 Never Give Up Hope: Waging War With Cancer by Craig Davis – wow what a powerful testimony of a family battling cancer. Craig Davis shows tremendous faith and courage as he puts his life into the hands of God. Craig Davis’ battle built trust and faith in God. As you read this book, may your trust and faith in God grow. Miracles still happen. “Miracles… force us into a decision.” We either choose to believe or we don’t but either way, our choice does not negate the miracle. Craig Davis realises with hindsight, that even when he was not walking with God, God was still preparing the groundwork for later in his life. “God was at work and we did not even realise it.” God will relentlessly pursue us until we make a decision for Him. “I was running from the life Jesus wanted me to live. But God kept after me.” God never gives up on us.